Cat. Z fire and mechanical shocks @ 950°C - 15 min. Conductors: Plain annealed copper wire, solid class 1 or stranded class 2 according to BS EN 60228. Insulation: High performance fire resistant silicone rubber type EI2 to BS EN 50363-1. 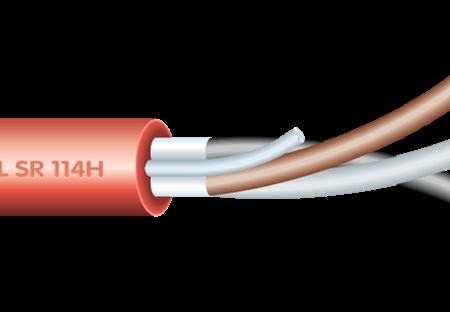 Cabling: Insulated cores are cabled together. 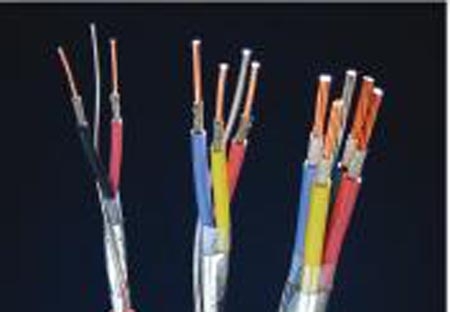 Circuit protective conductor or drain wire : Uninsulated tinned copper conductor of the same section and class as the insulated conductors in the 2-, 3- and 4-core cables. Drain wire of 0.5 mm2 tinned copper conductor is provided in cables with more than 4 conductors. Outer sheath : LSZH thermoplastic material type LTS3 to BS 7655-6.1. Colour red or white (other colours on request). 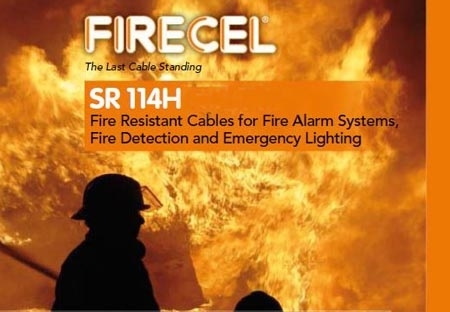 FIRECEL SR 114H are primarily intended for general application. ■■BS 5839-9 for emergency voice communication systems.